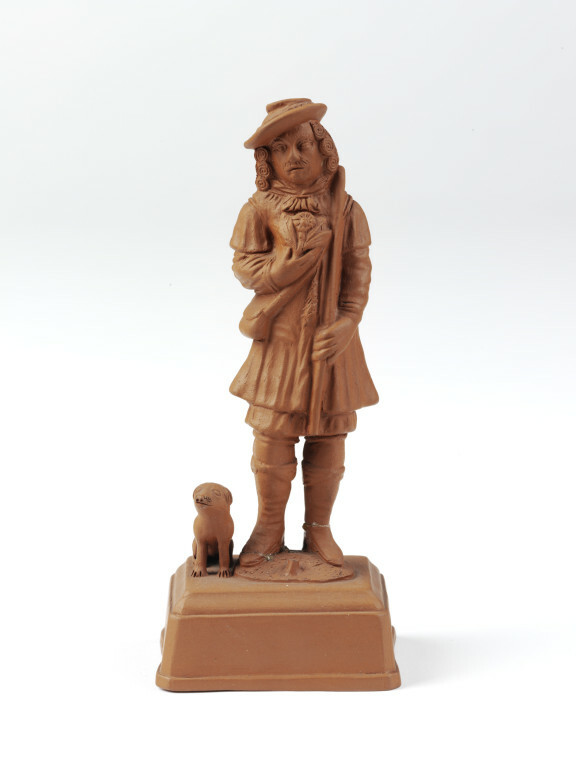 Figure of a shepherd in press-moulded red stoneware. 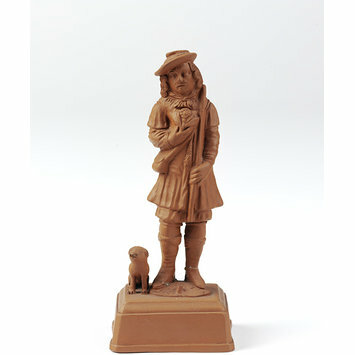 He stands on a rectangular base with a dog beside him, and he holds a crook in his left hand and a flower in his right. 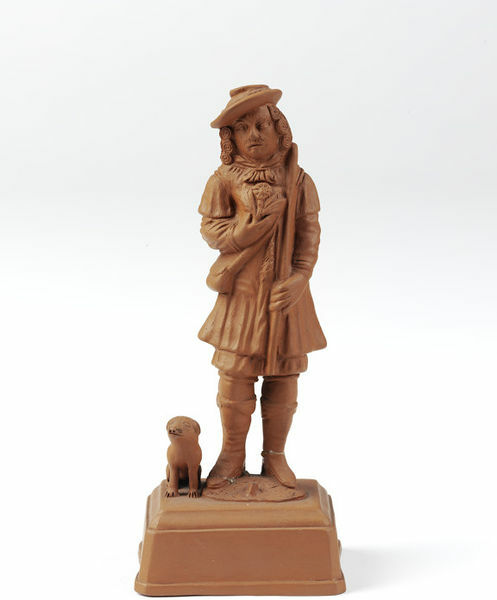 Figure of a shepherd, press-moulded red stoneware, Staffordshire, ca. 1750-1760.